In a previous post I explained how you can hook up an aftermarket OBDII Code Reader to your DB9 to retrieve Diagnostic information from the Power Train Control Modules (PCMs). What’s disappointing is that Aston Martin has kept much of their code system proprietary (accessible only via the Dealers more advanced AMDS system) and thus we can only get rudimentary information using the generic industry standard OBDII codes (check out my post on the 45 pieces of data available using this method) . On a lark I thought “Since Aston Martin was owned by Ford when the DB9 was initially designed and built, maybe the PCM’s are really programmed with Ford codes”. There was some clue to this as well on the Aston Martin Technical Information website – in the early years of the DB9 the Dealers used the WDS system to access the PCMs (the predecessor to the current AMDS), which I discovered is Fords Worldwide Dealer System. If the WDS is designed to talk to all the Ford models of the world would work for it, maybe this would work for me too. I connected my Autel MaxiDiag Elite MD802 Code Reader to my DB9, and rather than telling it to communicate using the Generic OBDII standards, my code reader has an option to specify the Manufacturer. I selected Ford of Europe. It then had options to ‘Start New Session’ where it would automatically detect’ the PCM, and this didn’t work well, returning a ‘The unique PCM identifier is unrecognized’ error. OK, so it doesn’t know what an Aston Martin is, but this doesn’t mean it isn’t a Ford part that been told to identify itself as an Aston. Next it asked me if I wanted to Auto Scan the entire vehicle for all possible modules, or I could specify just a particular scan to perform. 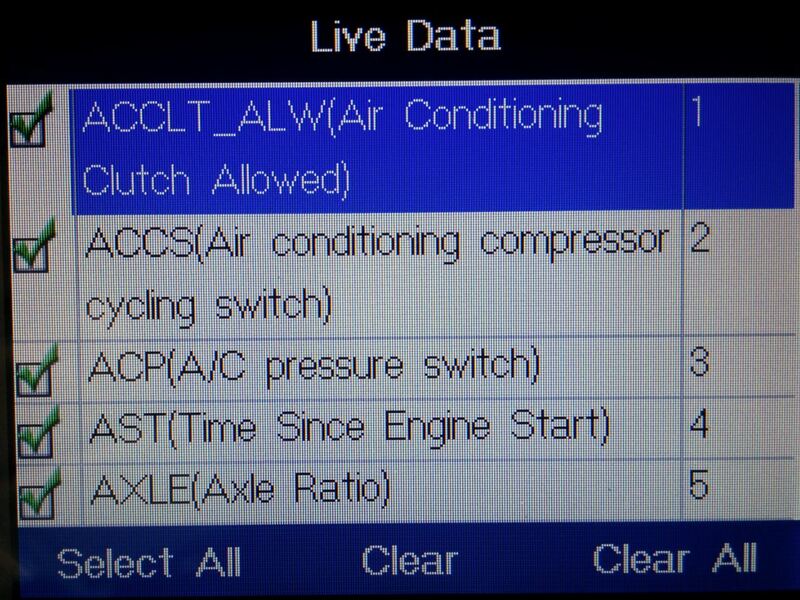 I selected Control Unit and then the Powertrain Control Module. … and many, many more items that you can read in this separate blog post. The Misfire Correction Factors Learned is a great one to know about as I discussed in my other post, and is a piece of data I thought I would only be able to get with a visit to the Dealer using a AMDS. Does this give us DIY guys as much information as the Dealers AMDS? I don’t think so. One certain limitation was that I was only seeing six (6) cylinders of information, not twelve (12). As I mentioned there are two (2) PCMs running our DB9s engines (like two separate six (6) cylinder engines that are interwoven). I suspect my approach here is just talking to the primary PCM, and there is no way to switch over to the secondary PCM to learn the specific information only it might know. And of course, who knows if there are even more Aston Martin proprietary codes beyond the standard Ford codes that might hold even more information. Anyways, this technique expands our arsenal of information and is better than what we can just get with an OBDII standard common codes. Here is a short video just showing setting up the communication as a Ford 3.0l V6, and then a look at all the information available to you. Good morning Steve. I recently purchased a 2009 DB9. I must say, its taken a lot of research trying to find someone that has done what you have. I wanted to say, I greatly appreciate all the info you’ve posted. I sold off my Porsche collection to buy the DB9 and I couldn’t be happier…that was until i called the dealer for the annual service! The service isn’t needed yet however, with your input, I’m confident I can do the service myself. If I can rebuild the engines of a couple of German cars…changing the oil should be a breeze! Again, just wanted to say thank you for all the videos you’ve posted and paving the way for other enthusiast to maintain their own DB9’s. Awesome to hear it! I think it gets much easier once you can see how someone else does it. Good luck and share your experience afterwards. Wow! This is a wealth of info, and just running a scan and saving the “normal” info will be invaluable if I ever have some fault, or Mass Flow sensor needing to be replaced. Were you able to save the complete table of codes to the SD card? It would be an easy way to save a record of normal engine function. Thanks for the trial and error. My car is a MY2007, so still owned by Ford at the time of manufacture. Again, Steve, I’m very grateful for you acting like a neighbor who just happens to be an Aston guy! I’ve been posting on the various forums about a problem I’ve had with the Convertible Roof Module on my ’06 DB9 Volante. After replacing the original failing module (intermittent faults, mostly in hot conditions) I took my car to the dealer for a re-flash. Afterwards the roof still didn’t work. I put the old CRM back in and the roof DID work. 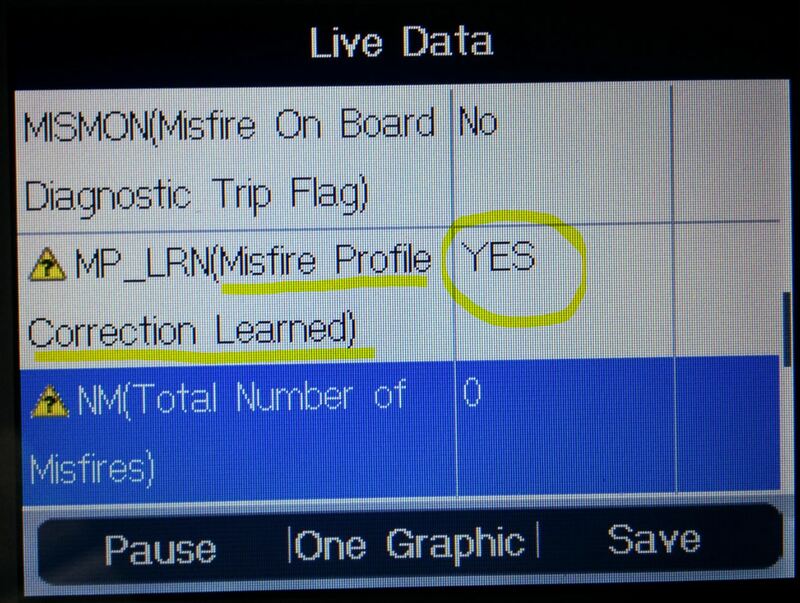 Do you think an OBD2 reader would reveal anything whether the CRM was programmed or not? Hi Mike. I don’t have much info on Volante’s. Another Volante owner here in Sacramento had a similar issue. Tried really, really hard to get any sort of OBDII info from car. You can’t do it without an AMDS linked to the Body network of the car. He purchased and installed a new CRM, and he ended up taking his car into the dealership to have it ‘learn’ whatever is needed. Problem was then solved for him. Not sure if your dealer got it right from the sounds of it. I’ve recently bought a 2004 DB9 and thought I’d invest in a Foxwell NT520. Does anyone know if it can tell me and where on the menu is the misfire correction learned data. I definitely have a misfire but the counts are all zero on the individual cylinders.